Posted in Ceramics, Jewellery, Love, Mother's Day Gift Ideas, Ruth Power - Danu. Tagged as jewellery, ncad, necklace, ozra, power, ruth. The chain length is 18 inches and is 925 silver plated. 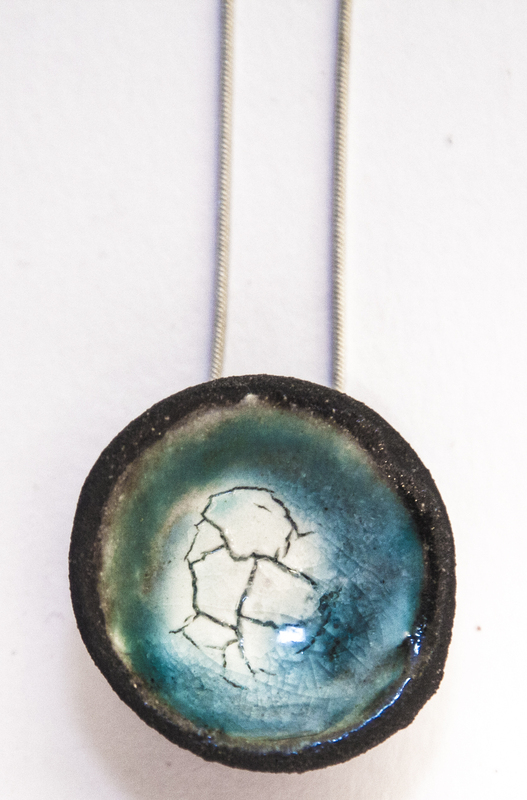 The materials of the pendant are black clay, glaze, recycled glass and high-fire wire and come in a bamboo box. As each piece is unique there may be slight differences between the piece pictured and the piece you receive.